E-commerce has revolutionized how we shop, as a result of which many brick and mortar retailers are looking to haul their stores online. Many options are available to businesses that would like to launch an online store or switch to a different service provider. To make the best choice between options like BigCommerce and WooCommerce, you have to carefully consider the pros and cons associated with each. WooCommerce and BigCommerce are two of the most popular e-commerce solutions out there. Bigcommerce is a dedicated hosted platform that offers the tools and functionalities needed to set-up and operate online stores right out of the box. WooCommerce is a self-managed toolkit capable of transforming WordPress websites into beautiful online stores. Because selecting the most suitable option for your needs can be a long and complicated process, here’s a side-by-side comparison to help you decide between the two. As with any other business decision, pricing is a major factor when selecting an e-commerce solution. BigCommerce is a paid-for platform while WooCommerce is free. Although WooCommerce is free to install, your startup cost will be $0 if your business already has a WordPress site. But to ensure full functionality and get the most out of WooCommerce, you’ll find it necessary to invest in premium extensions and plugins. For instance, the subscriptions extension will be required to bill customers each month. 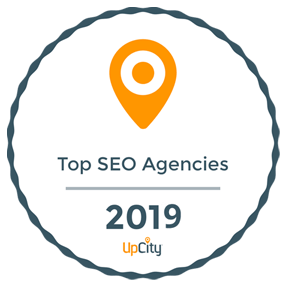 Additional costs could include marketing tools, the WooCommerce SEO plugin at $49 per year for search engine optimization, complex payment processing add-ons, pricing or discounting features, and a paid-for theme or design if the free options are not up to scratch. To top it all, you’ll have to pay for hosting to ensure flexibility, and this will be an ongoing cost. BigCommerce has three different pricing plans, starting at $29.95 per month. Along with extensive storage and bandwidth offerings, the pricing structure offers generous options including multi-layered service attack protection, server management, as well as HTTPS and Level-1 PCI-compliance. Aside from the functionalities mentioned above, BigCommerce users get built-in tools for search engine optimization and conversion tools, best practices in code and dedicated enterprise-level hosting. Even if you won’t use some packages to the fullest, BigCommerce offers value for money. If you already have a website, you need to invest in an e-commerce solution that is compatible with the site. WooCommerce is compatible with WordPress only. Since it’s a WordPress plugin, only businesses that have a WordPress-based website can use this toolkit with ease. Even without extensive development experience, you’ll find the installation process fairly simple if your main website is hosted on WordPress. But if your site is not hosted on WordPress, you’ll have to do a little more work. Installing the content management system on subfolders of your main site might be a viable solution if online sales are a small part of your business. Ideally, the entire store will be hosted in a subfolder. As such, this option is not ideal for larger online stores. BigCommerce, on the other hand, integrates with any site. Since BigCommerce is a dedicated e-commerce platform, you don’t have to use a specific content management system for it to work. This means that you can integrate BigCommerce with your website irrespective of the existing setup. As an open-source plugin, WooCommerce allows you to integrate a lot of apps into your website, meaning you will enjoy extreme flexibility when customizing the functionality of your site. Although WordPress has a variety of responsive, mobile-friendly templates, configuring the settings can be confusing, especially when dealing with the really nice ones. In such cases, you may need a developer. Though WooCommerce’s extensions and plugins provide a wealth of options to choose from, almost all of the plugins are great on WordPress. However, something on your WordPress store might break if you activate a plugin. This outcome is more likely when plugins conflict with each other. Troubleshooting to identify the conflicting plugins might be beyond the average site owner’s skill set. If this is the case, you’ll have to pay a developer to manage the plugins. Unless you know how to find and add extensions and plugins to your WordPress store, the feature is less likely to show up once you’ve added a plugin. Once again, you’ll need professional help. Unlike WooCommerce, BigCommerce allows for easy product management. Aside from the fact that you can add all your products to BigCommerce easily, this platform has a growing community of apps that users can add to their stores. Additionally, only thoroughly tested applications are listed on the BigCommerce Apps page. Also, BigCommerce offers an array of free and paid-for templates. The themes are responsive and mobile-friendly, meaning they will automatically display correctly branded versions on mobile devices. 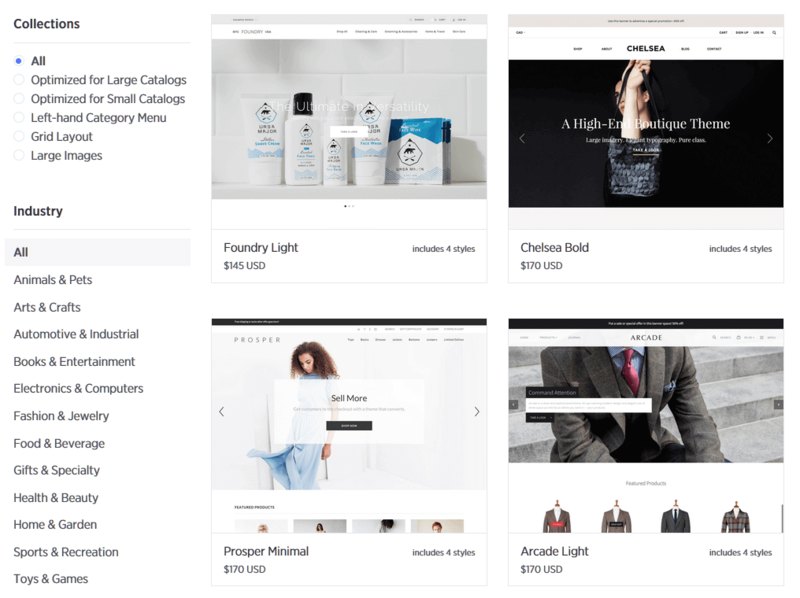 BigCommerce recently launched a new theme and front-end development framework known as Stencil that allows users to create beautiful, progressive, and powerful storefronts without coding. With this theming engine, BigCommerce users, including those who don’t have any development skills, can customize the look and feel of their stores quickly. As a result, users can get a sense of the best-suited look for their stores easily. In case of a problem, help is always available from the BigCommerce staff for free. Essentially, both BigCommerce and WooCommerce have the features needed to start selling online. But beyond these basic features, the two solutions offer varying options. WooCommerce: The features listed above are what you get with WooCommerce. However, there are plenty of plugins and extensions available that can expand functionalities. These include third-party services, customer service, marketing, inventory, payment options, and shipping methods. Although some of these plugins and extensions are free, you’ll have to pay a yearly or one-time fee for most of them. So before you install this e-commerce solution on your site, make sure you’ve established which extensions you will need. In this way, it is easier to estimate how much you can expect to pay for the extensions. BigCommerce: This solution includes a majority of the extensions and plugins available for WooCommerce as standard features. Unlike WooCommerce, BigCommerce accepts a wide variety of payment options. The platform also integrates with marketing, inventory, and accounting software solutions. But compared to WooCommerce, fewer third-party extensions are available online for BigCommerce. As such, you’ll want to confirm that BigCommerce offers each of the specific functionalities your online store needs to have before you make your decision. To help you understand what you will get with either solution, here’s a rundown of the features offered. Hosting and support: BigCommerce offers dedicated hosting and server management at a price. Aside from experiencing uptime, you won’t have to worry about your online store going down when using BigCommerce. With WooCommerce, users have to source hosting services. if you choose WooCommerce, expect to pay $2.95-29 per month for managed hosting. BigCommerce provides 24/7 live chat, email, phone and community forum support while WooCommerce users rely on community forums or third-party providers at a cost. Dashboard: WooCommerce offers a basic store dashboard that third-party plugins can enhance while BigCommerce features an intuitive control panel, ideally designed to serve as a business management tool. Mobile responsiveness: For WooCommerce, the mobile responsiveness achieved will depend on the parent theme used and might require some development skills to optimize fully. In contrast, BigCommerce offers excellent mobile responsiveness, as all Stencil themes are mobile-friendly. Customization: BigCommerce is relatively customizable through its built-in theme editor while the Stencil framework allows full customization without coding. WooCommerce has no built-in theme editor and its customization depends a lot on the theme used. Advanced customization requires development skills. Abandoned cart saver: BigCommerce comes with a built-in abandoned cart saver that lets you automatically email any shopper who leaves your website without checking out. You can, therefore, remind cart-abandoning shoppers about their orders or retarget them with new, enticing deals on their items. You don’t get the built-in abandoned cart saver with WooCommerce but the feature is available through third-party plugins for free. At $119 per year, the premium version adds features to match. Speed and scalability: BigCommerce offers very fast page load times as well as a much-needed stability through growth and high-traffic events. Their servers have blazing-fast 145ms response times, unlimited bandwidth and the ability to handle more than 500,000 hits a minute. WooCommerce, on the other hand, is managed through development and database management efforts along with your own CDN and managed hosting provider. The content delivery network (CDN) will cost $9 per month or more. Comparison shopping engines: While BigCommerce allows native integration with several comparison shopping sites including Nextag and PriceGrabber, WooCommerce does not integrate with any. Email marketing: BigCommerce integrates seamlessly with MailChimp, Constant Contact, HubSpot, and iContact among others. For WooCommerce, email marketing is available through embedded code or plugins. Because of its extendable nature, WooCommerce can integrate with more service providers and offers more apps than BigCommerce. However, this is because BigCommerce prefers a curated experience. The platform’s app marketplace is a carefully selected collection of top third-party applications and integrations. As a result, BigCommerce users can trust the quality, reputation, and customer service of every application’s provider listed. We believe BigCommerce is better suited for scalability, which is why this e-commerce solution works well for small, medium-sized and large businesses. WooCommerce, on the other hand, does not provide the flexibility that you’ll need to expand, but this does not necessarily mean it is bad.